Pre Retirement-Your Own Internet Business? Now, pre retirement covers a lot of people. Everybody who’s not retired is in that stage, right? Will you get caught with your pants down? You had better be ready. This article might just open your eyes a little bit. People used to begin pre-retirement conversations with statements like “when I retire such and such”. Now the conversation has turned to “if I’m ever able to retire so and so”. These are very scary times for everyone in a financial sense. The older you are the scarier it is. I’m not here to scare anyone. I’m here to get you to think about alternatives. Pre Retirement-How Long Do You Have? Putting aside the question of whether or not you even want to retire, some people don’t, maybe we can phrase it another way. There is a long standing statistic that revealed people who retired and did nothing, you know, lie on the couch and watch reruns of “I Love Lucy”, were dead within 2 years. So let’s not call it retirement and let’s change the thoughts and planning that go into pre retirement. We’ll call it “getting yourself to the point of being able to do whatever you want to do whenever you want to do it”. Long title, sure, but it gets the point across. Just so you know, I am a baby boomer, born right in the middle of that era in 1955. I did not, for most of my life, do any pre retirement planning. I didn’t even start to think seriously about it until I turned 50. I was too busy partying and spending all of my money. So when I did start to think about it I was about 15 years away from the traditional age of retirement. When it comes to earning and saving enough money, working at a regular job, 15 years is just about impossible to get it done. That’s not even considering how much debt you have. Pre Retirement-Have You Thought About Your Own Internet Business? Now hear me out, because if you are close to retirement and your pre-retirement planning hasn’t exactly been textbook, you need not only a plan but an accelerated plan. Your own internet business is just that plan. I really don’t expect to change anybody’s mind who is dead set, closed minded to the idea. If your mind is open even slightly to a new possibility, you need to really think about this idea. You have people counting on you to do the right, safe thing. I’m just going to mention quickly, and I don’t know how much attention you pay to world events, that the stack that is against you being able to take care of yourself and your family is getting higher day by day. That is a whole other article, even a book, in itself. Do you know how easy it is to start your own internet business? I’m not saying it is easy to build a business into a success because it takes work and perseverance. It is much easier and cheaper than a typical “brick and mortar” or even a franchise type of business though. The kinds of business I’m talking about are making and selling your own product or affiliate marketing, selling someone else’s products and getting a commission for it. The older you are the better the chance you’ve been exposed to affiliate marketing. You may have been bugged to death by a friend or family member about the “greatest opportunity that ever came down the pike”. Or maybe you were the bugger rather than the buggee(smile). You quickly found out how to alienate your friends and family. Affiliate marketing has changed and so has the approach. One more thing about that chasing your friends and family thing, one of my mentors says do not do it, not at all. You won’t have to because after they see what you have done through modern methods of networking, they will be coming to you. I don’t know how much time you have or how worried or scared you are. Investing in the stock market, even if you have substantial enough money to do it, is risky at best and time is too short to make any significant gains anyway. You need a new plan and it needs to be accelerated. I am not naïve enough to think that everyone who reads this article is going to jump all over my idea. I am positive though that there are people who will at least take a look at a potential opportunity. They may have tried this route before but didn’t have anything equal to the attraction marketing systems available now. There are people who have never even been introduced to the possibilities on the internet. By the way, don’t be thinking any of that get rich quick, 100k a month by Saturday crap either. I am talking about a business you can be proud of and even leave to your kids. As the old saying in marketing goes “some will, some won’t, so what, next?” I started out just where you are right now and I feel a whole lot better about the future now. Take a look into your own internet business and put your pre retirement planning on the fast track. This retirement advice is not for you if you are not looking for a way to make more money. This is not stock market recommendations. It’s pretty scary the number of people who are close to the retirement age, whatever that number is to you, who have not put away any money. Of course, the big group of those people is the baby boomers who were born between 1946 and 1964. I’m right in the middle of that at 1955 so I’m one of you. I never thought seriously about having enough money “someday” to take care of myself. I was too busy living it up, partying and buying the latest cool thing even if that meant borrowing the money to do it. Debt is another big part of the problem and I’m not going to cover it here except to say; get rid of it as fast as you can. So how far away from retiring are you, 1 year, 3, 5, 10? Obviously the further away you are from it, but are waking up to the reality, the better. If you are within, say, 5 years, and have no money, do you think you can start saving now from the money you make on your job and get to where you need to be? You need an alternative? 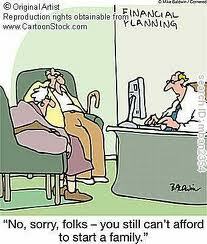 We’ve already established that you don’t have very much money saved towards retirement. If you have a job, even a pretty good paying job, you don’t have enough time left to save enough now. Do you know that if you start a business at home that you could even start keeping more of the money you make from your job? Business owners have tax advantages that wage earners just don’t have. As soon as you establish your own home business you will begin to keep more of your own money. Who better to give your money to than you, right? Now I’m not talking about buying franchises or the kinds of businesses that cost tens or hundreds of thousands of dollars just to get started. I’m talking about a business that you can start for under $1K. what I know and that is that starting your own home based business in the online marketing industry can get you to where you need to be faster than anything else, except for maybe winning the lottery. If you are of the lottery mentality you might as well stop reading now and go buy your tickets. I’m in the same category as you but I’m no longer in the same boat. I saw the writing on the wall and did something about it. I did not want to depend on Social Security as my only income. What kind of way is that to live? That’s not living, that’s struggling. This financial retirement advice is probably not what you’re used to seeing. It may not even be what you expected. But unless you already have all the money you need, it’s something you need to consider. You don’t need retirement investing advice if you don’t have any money. My goal for my wife and I for some time has been; to be able to do whatever we want to do whenever we want to do it. With your own business in the online marketing industry you can reach your goals whatever they may be. It takes work and persistence but there is absolutely no better way to get to where you want to be, faster. You can either open your mind to this absolutely incredible opportunity or you can stay where you are and hope that everything works out for you. I wish you nothing but the best. Think of a time when you wanted something really, really bad. Your desire to have it took over every one of your thoughts, but your mind kept telling you to “fuhget about it”. One of the craziest aspects that comes from the subject of success, happiness and a peaceful easy feeling:) is exposed when we really understand one thing: Just having the desire means and affects nothing. What you and I want in life doesn’t mean much in the whole scope of things. Everybody wants to be healthy, wealthy, happy and to be the smartest guy in the room. Not everyone has or can even get these qualities. Once in a while we do get to experience one or, if you’re lucky, all of them sometimes. It’s this “every once in a while” bout with success that lets us believe that if we really want something and if we work hard enough for it we just might get it. It’s probably true that “the road to hell is paved with good intentions”. But that’s not exactly the correct law of the universe is it? Intending to do something is just not good enough. Not even just having good thoughts is enough. There are other laws of nature that we may or may not know about that work like any other scientific law, meaning when all the right ingredients are in place there’s always a certain outcome. These laws are at your beck and call and just the act of practicing them can bring about enormous and relatively quick abundance. The only thing that matters is your expectation, what do you expect to happen? What we believe is what we’re gonna get man!. What matters is our mindset about who we are and what we deserve. You may have heard me say before that one of my favorite people in history is Earl Nightingale who said: “We become what we think about”. It is not enough to just want, wish or hope. Remember the old saying; “wish in one hand and @#%$ in the other and see which one fills up faster”. Sorry, a little crude I know but it gets the point across. It’s not enough to simply set goals or work hard. We must tell ourselves over and over again in our mind, in our heart, that what we want is gonna happen. We have to see it, hear it, taste it, smell it and feel it happening to us right now. We have to do this even if right now you’re sitting in a homeless shelter filling out food stamp and rental assistance applications (which is a position I’ve been in before btw). It’s called faith (believing without evidence) in our dreams. We have to act as though, pray as though, and move as though what we want ALREADY IS. As human beans:), we have what is called our sub-conscious which cannot tell if something is real or of the imagination. In other words, it believes whatever you tell it, true or not. A pure vision that is spoken with conviction over and over becomes real, even if there is evidence saying the opposite. This is how you and I can turn our hopes and dreams into our realities. Money is sometimes seen as a bad thing in our lives when actually it is a “supersizer” of our intentions. It can make bad intentions worse and it can make good intentions better. 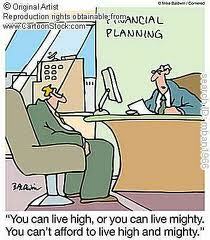 Our lives can be improved beyond belief with financial freedom. Freedom to make your hobby your occupation. Freedom to give our time and money. Freedom to chase our dreams. Freedom to do anything we want to do any time we want to do it. You don’t even have to be rich to enjoy these freedoms. What would you do with your life if you could just make the money you’re already making without going to work? Now dream a little dream. Pick an amount of any income that would really change your life but is still believable to you. Can you see yourself making an extra thousand a month? What would you do with it? How would it change your life? Would you enhance your education, your personal and spiritual development? Just take a minute and imagine what your life would be like if money was no object. Now write down what you see your life becoming, your day to day routine. Describe it in detail, with as much emotion and enthusiasm as possible. The key to having your subconscious mind believe in your vision is to make it crystal clear and full of every detail, including the most important detail: how it all makes you feel. Whether we’re talking about your wealth, relationships, health, achievements, or all of the above take charge of your future. Have the courage to be the director of your life. Be responsible for creating your life of choice. The universe will astound you with its generosity. There is a price to pay, but if it’s something near and dear to your heart, it is a price you won’t mind paying in the least. ﻿Should You Quit Your Job? I Did and Guess What? People ask the question “should I quit my job?” for a variety of reasons. I think most people who ask the question have already decided to quit and are just looking for validation, or company, people who are on the same page, who’ve done the same thing. This has to be the first in your reasoning and deduction of the process. The reason or reasons to quit your job probably came before the decision to quit or the thinking about quitting. Nobody can tell you if your reason is a good reason. You’re the one who has lived it. Usually the biggest reason for quitting a job is co-workers or a boss. That is a very good reason but the extent of the problem is probably more important. If someone teed you off just one time then the reason is not very strong, in fact, I would venture to say that it’s probably not the real reason. If you have just an unbearable situation with a co-worker or a boss then you probably have a very strong reason to quit unless, of course, there are positives which outweigh the negatives. There is no way in the world I can get to, list and explain every bad situation that a person could possibly be in and that’s not my goal here anyway. I am here to talk about the reason I quit my job and the reason, it turns out, that a lot of other people quit their jobs. Now this section is very tempting. I mean we could really have a lot of fun talking about the very cool ways to quit your job. When I worked in radio, my very first job was at a country station in a small town in Colorado. I didn’t like country music and I didn’t like that small town. My last night on the air, the last song I played was Johnny Paycheck’s “Take this job and shove it”. It was fun and it felt pretty good. But I will try to wear my grownup hat and be a little bit responsible. That’s not as much fun but we don’t need anyone going and doing anything stupid either. The way that you quit your job is going to have everything to do with the reason you’re quitting in the first place. I’ll leave it up to you except to say don’t do anything you wouldn’t want done to you. Leave in such a way that you won’t be ashamed or embarrassed to show your face to the people who are involved if you see them when you’re out and about. There really is something to that “Don’t burn your bridges behind you” thing you know. Yea, that wasn’t as much fun but we can live with it :). Well, one reason anyway. But first, did you know that, according to US News Money, between 1.5 and 2 million people quit their jobs every month. That number just amazed me. That number of people quit those jobs for 3 main reasons; to pursue a new opportunity (pretty broad term), take care of a family member or to start their own business. That last one is me. I was never happy working for someone else. I’ve had a few careers and a lot of jobs but I didn’t like any of them. The funny thing was that I excelled in most of those jobs, rose through the ranks, but just was not ever satisfied. Even radio and I still love radio but wasn’t completely satisfied in it, I think, because it was a job. A job can take the fun out of anything. So if you’re not happy in your job, what do you do? Is it just that particular job or are you like me and just don’t like working for someone else. You’re told what to do, what time to do it and sometimes even how to do it. On top of that you’re helping someone else to achieve their dreams and become rich sometimes. So let’s move on to what I did and although I won’t tell you what to do, maybe you can get an idea or even the inspiration to make your own decision. I didn’t want to work for anyone else anymore. I wanted to make my own way, pursue my dreams and get to the point where my wife and I could do whatever we wanted to do whenever we wanted to do it. Those last 17 words are my motto and were my ultimate goal. I started my own home business part time while I was still working. I would come home and work in my home office for 4-6 hours every night and on the weekends too. How long it takes you to get to where you want to be depends on a few things, especially the technology part. If you’re tech savvy it won’t take you as long as it did me. The home business possibilities on the internet are tremendous and, at the same time, there’s a lot of crap. An easy way to sift through that crap is to eliminate the programs or people who tell you it’s so easy and you could be making $100K a month by next Tuesday. You can also eliminate the people who say they have a “push button” program and it’s all done for you. I had not completely reached my ultimate goal before I quit my job. I started to think “if I quit I could gain myself 40+ hours a week to put towards reaching my goals”. So that’s what I did and I’m very glad that I did it. There is no better reason to quit your job than to pursue your dreams, whatever they are. If you think, or know, that you want to basically take the same route I did for the same reasons, then do it. You can start out part time until either you don’t need that job anymore or you do what I did and chase the dream full time. That job you have or may be afraid of quitting is not as secure as you think it is. Nobody cares about you, your family and your dreams the way that you do. When you leave your job they’ll just find somebody else to do it. Only you know what you can and cannot do. You know if you can just quit now or you can start a business part time and keep working for a while. Only you know your circumstances so only you can make the decision. I do have a warning for you though. Despite all of the hype you read and hear on the internet, it takes work to get a business going. Nothing good comes easy. If it did everybody would be rich and nobody would be working for somebody else. Here it is in a nutshell. Make a decision to either start a business or to keep working for the man:). Hang out with people of the same mindset as you. If they’re not around you physically they are around you on the internet. Find a person or people you can trust, who have what you want and then do what they do. Don’t take advice from your broke friends and family. Pursue your dreams relentlessly, every spare minute that you have. Stay focused on your goal, be consistent and persistent and never, ever give up. You can start right now…here. This article features an industry rather than just a business for retirees. Because of the tax laws you will begin to hold on to more of your money the minute you establish your home office business. That stat is the result of a survey by a company called Guidant Financial, based in Bellevue, Washington. Their survey found that 84% of new business startups are by people between the ages of 40-60. Now, granted those people don’t all fall in the baby boomer generation, but it’s pretty obvious that people are seeing the light and becoming much smarter in planning their futures. There definitely was a time, which you already know when you could work for a company for 40 years or so and retire with a gold watch and a somewhat livable retirement. Those days are long gone for several reasons. People live much longer and companies can’t afford to support them for that long. Companies and governments made retirement promises to people, to entice them to stay, that they found were just too expensive to live up to. Realize also, if you’ve never thought about it, that a private company is owned by a person or persons and by working for them you are helping to make their dreams come true, to make them rich. When you open your home office business, whether it’s a baby boomer business or not, you are entitled to tax benefits that wage earners are not. You don’t have to spend hundreds of thousands or even a million dollars to start your business. Those kinds of rates are related to buying a franchise. You can do that if you want to and you have the money but there are alternatives that cost much less. How Much Money for A Home Office Business? The kinds of business for retirees and anyone who is looking is the affiliate marketing business. As a baby boomer myself I chose to get involved some time ago. Getting involved in a primary affiliate marketing business and having affiliate programs selling other people’s products is proving to be a very lucrative road to take for more and more people every day. You can set yourself up in a home office business for less than $1000, in some cases a lot less. One thing to look out for though is be sure that whatever level you join at, you are eligible for ALL of the commissions and bonuses etc in the compensation plan. I have done a lot of research on affiliate marketing companies and and I strongly advise you to do your due diligence as well. Like I said earlier, as soon as you establish a home office business you will start holding on to more of your money. That is just the beginning of your new career in which you will be working towards the dreams of yourself and your family rather than making the dreams of someone else come true. I want to warn you that none of the success you desire will come easily or if you don’t have a very strong “why” you are doing it. If your “why” is weak, your efforts and resolve to succeed will be weak too. What is your “why”? Think about it for a minute. If you need an example my “why” was 3 fold. I never did like working for someone else and wanted to be my own boss. (I’m the best boss I ever had:), I wanted to bring my wife home from her job; she is a very severe diabetic and should be in a position where she can be the safest she can be. The biggie of the biggies is “we want to do whatever we want to do whenever we want to do it”. So the bottom line is if your reason is big and strong enough and you do your due diligence and have the will to succeed there’s no way you can fail. The most important and exciting part of this baby boomer business plan is that with affiliate marketing programs the income you create is residual and will keep coming in even if you decide to stop working. In other words, work hard for 1-3 years or whatever it takes and then you can do whatever you want whenever you want to do it. A majority of online marketers when spewing all of their knowledge about attraction marketing, fling those words around not even considering whether they’re understood or not. This is certainly not to put your ability to understand or putting your intelligence in question. When I first heard the term I automatically thought about looks. Of course after I thought about it for a while I began to appreciate what it really means. Do you ever look back to when you were a kid how you constantly wanted to fit in. The kids who were physically adept, good at tetherball, soccer, tag etc or who “looked” cool were the “attractive” ones. They didn’t do anything to try to be attractive, they just inherently were. All of the other kids wanted to be near them because they had what the other kids wanted. The celebrated kids became even more popular because not only were the kids attracted to them but were also following the crowd. Now the popular kids had two things going for them. The attraction factor and the fact that everyone else wanted to fit in. I know a little female whose identity will remain anonymous because of the possible, albeit slim chance she will ever read this. At the time she was about 8 or 9 years old and her biggest resentment in life was that she didn’t have “any” friends. I think she had a set of twins for friends but it wasn’t enough. I had a chance to watch her in action a couple of times as she was put into family and friend situations, get-togethers. The harder she tried the further away the other kids would get. She pushed herself on the other kids. She wanted to have a record, a story of friendship that is acquired over years… in about ten minutes. “Do you like me?” was expressed more than once and was chiefly answered silently but with a look. It must have been very agonizing for her. I know it was for me. So you can relate to what I had to do. I had to rescue her. I had to inform her what was happening, what she was bringing on herself. I told her that what she was doing, trying to force herself on the other kids, was having the opposite effect. That just acting as herself and treating the other kids just the way she herself wanted to be treated and having an enjoyable time would get the desired result…in time. I talked for an hour, pretty much saying the same words over and over again. Her face and her words finally said “Oh, I get it” and you could see the enthusiasm and anticipation bubbling up as she got ready to go “back into the ring”. I watched, feeling pretty clever about having “saved” her as she went back and…did exactly the same thing she was doing before. Awareness of Attraction Marketing is really the same thing. When I was originally introduced to Internet Marketing and for way too long after that I wanted to let EVERBODY know about my shot at freedom. At the time I was involved with a network marketing company. I would call people and set up a time to get together, expose to them the opportunity and then be completely confused as to why they didn’t get as excited as I was. “I’ll think about it”. “I have to talk to my wife or husband first”. ————– You fill in the blank if you’ve been through it. I’d make myself feel better by saying well, they just make their decisions differently from me, they’ll come around. It’s the next day or a couple of days later and I’ve just become that little girl. All of a sudden I can’t get anyone to answer the phone. Nobody will even come to the door. I’m hunting these people all over town and the harder I hunt the faster they run. I just couldn’t understand why people, my friends, my family couldn’t see what I saw. Or why they didn’t want to improve their lot in life. Actually I still don’t understand that one. But that’s the way it is. For as long as I can remember, since I was old enough to get a job, I haven’t been happy or satisfied with the status quo. How can anyone be satisfied with the fact that they are told what time to be at a certain place, whether or not they can go to lunch and how long to take for lunch. They’re told how long they have to stay, if they have to stay past the normal quitting time. “But I have plans”. Doesn’t matter. Nothing in your life matters. Your boss’ needs matter. End of story. Well those types of people, for the most part, will always be right where they are. There are a million and one reasons why these people choose to stay in their limited life situations and only they know what those reasons are. You don’t need to know. You just need to move on. So, when it comes to online affiliate marketing you’ll become attractive to other people who have similar interests as you when you become like the person they want to be. You won’t have to find them. They’re already looking and at some point, they’ll find you. What Is FIRE Or Financial Independence Retire Early? I’m 64, well almost and maybe a little slow and behind the times but it seems there’s been a movement going on for a few years called FIRE, an acronym which stands for Financial Independence Retire Early. It’s mostly amongst millenials I think. You dig into it a little bit and realize there are two sides in this movement according to Robert Farrington of The College Investor, the “lean” and the “fat” movements and they are described just as you think they would be. I’m a big believer in “to each his own” but the “lean” people are the majority of these movements at 80-90%. The “leans” believe in frugality and minimalist living. In other words, spending as little as possible with no or little emphasis on earning more. Now, am I the only one who thinks this is sort of the opposite way of thinking to Financial Independence Retire Early? Back in the 1970’s, (yes I was there in a big wayJ), these kinds of people were called hippies. Shouldn’t the “leans” section of the Financial Independence Retire Early movement have just started their own club? Maybe call it “The National Penny Pinchers” or “We Got Nothin’ and We’re Happy Damn It” clubs. Maybe since most of the movement is young people, they’ll change their way of thinking as they get older. This is America and they can do and think whatever they want. I sincerely wish them the best in whatever they choose. I just think God meant for us to LIVE and enjoy life to whatever extent makes us happy. It’s just that a lot of things which people consider making them happy involve money. So we have to find a way to get to the point of having time and financial freedom to choose and do whatever that is that makes us happy as long as it doesn’t hurt or interfere with other people. Since the turn of the 20th century and the industrial revolution we’ve been told we can find a nice employer who’ll let us work for 40 hours a week for 40 years and then we can retire and live off 50% of what we couldn’t live on when we were working. I don’t know how old you are or what your situation is but I do think for most people building an internet business is the shortest way to freedom. Now, I’m not talking about get rich quick scams because they are out there. But doing your due diligence and looking for trustworthy individuals to recommend pathways is definitely doable. I’m not even telling you that you have to do a certain kind of business. If you already have a product or service or you’re very passionate about a certain area of life which can be monetized, all you have to do is learn how to market it on the internet. I say “all you have to do” not to say it’s easy. There’s a learning curve involved. But hey, if I can learn this stuff, you can too. If you don’t have a product, service or red hot passion for something, you can still have a business on the internet. Most people start out with affiliate marketing which, if you don’t know, is selling other people’s products or services for a commission on the deal. This can also be very lucrative. I could give you some examples of the kind of money some affiliates are earning but you wouldn’t believe me and it would sound like hype. So if you’re so inclined you’ll find out for yourself at some point. So to the 10-20% of the Financial Independence Retire Early crowd, I’m on your side. You’re my kind of people. I’m in pursuit, not quite there yet, of that time and financial freedom. The more I do it the more I believe in it. Will You Die or Run Out of Money First? First of all, the answers to those two questions respectively are, they can and you’re screwed. That might sound harsh but this is a serious subject and honest and straightforward answers are necessary. I’m sure you’ll agree with me when I say, I just don’t want to find myself in that position. The good news is there is a way to get out of, or avoid it whether you’re in that position now or you want to make sure you avoid it in the future. BUT! There is no magic wand and nobody is going to take care of you and do it for you. YOU have to do it yourself and it takes work. If that’s a four letter word you’re afraid of then look at the second answer in the second paragraph for your position in life. Let’s say you would like or need to make $5000.00 a month for say 20 years. You would have to have about $1.7 million in your retirement funds to pull that off. That, of course, is if you didn’t do anything else when you stopped working. How many people do you think are in that position? Are you? I don’t think too many people are in those shoes. So, they have to find another way or live in poverty for the rest of their lives. Through not just this article but my website rogerdblackwell.com I have information about not just one way to avoid disaster in your later years, but several. If you’re already passionate about something there may be a way to turn that interest into income. If you already have a product or an idea for a product we can guide you down that path too. No passions or products? Get a chunk of other people’s passions and/or product’s income by affiliating yourself with them. This is free training that I’m passing along to you that will teach you how to take advantage of the internet and the $2.5 trillion being spent every year on retail products. Scroll back up to the top of the page and enter your first name and best email to get the free training. You can use this training to show you the path to whatever floats your boat. More importantly, to avoid the total disaster of the poverty train. You’re the only one who can do it. I don’t know anyone in their right mind who wants to even come close to running out of money in retirement. I don’t want to live frugally either. I want to live! That means total time and financial freedom. You can start right now…here. You hear that term a lot lately don’t you? With the government shutdown there’s almost a million people who don’t even know when they’re getting their next check. I really feel for them. Almost all of those people are, as most people in America, living paycheck to paycheck. What does that mean exactly anyway? A term referring to a situation in which an individual must meet all financial obligations with current earnings from one pay cycle to the next. Individuals who live paycheck-to-paycheck typically have no significant liquid assets. This state of financial vulnerability may rapidly lead to insolvency in the event of job loss or unexpected expenses such as medical bills. it’s a much better place to be. Some people say money doesn’t bring you happiness. Maybe not but it sure beats not having it. So, can you change that? Can you get yourself to the point of not having to live paycheck to paycheck? You can. It’s simple. Not easy but simple. Not easy because it takes work and persistence. You have to be consistent at making a little bit of progress every day. Half the battle though is finding the right vehicle. I have a recommendation so keep reading. I’ll be talking in general terms about an industry that, quite frankly, you would be crazy to not get involved with at this stage of your life. Its not just a business for baby boomers either, its for anyone who is not happy with the plan that has been thrown at you. The kinds of business for baby boomers and anyone who is looking is the internet affiliate marketing business. As a baby boomer myself I chose to get involved. Getting involved in an internet affiliate marketing business and having affiliate programs selling other people’s products is proving to be a very lucrative road to take for more and more people every day. I have done a lot of research on affiliate marketing companies and I strongly advise you to do your due diligence as well. There are resources online where you can read about affiliate programs and “how to” reviews. I want to warn you that none of the success you desire will come easily or if you don’t have a very strong “why” you are doing it. If your “why” is weak, your efforts and resolve to succeed will be weak too. What is your “why”? Think about it. If you need an example, my “why” was 3 fold. I never did like working for someone else and wanted to be my own boss. (I’m the best boss I ever had:), I wanted to bring my wife home from her job; she is a very severe diabetic and should be in a position where she can be the safest she can be. The biggie of the biggies is “we want to do whatever we want to do whenever we want to do it”. The most important and exciting part of this baby boomer business plan is that with some affiliate programs the income you create is residual and will keep coming in even if you decide to stop working. In other words, work hard for 1-3 years or whatever it takes and then you can do whatever you want whenever you want to do it. page and enter your name and info. You’ll get the information right away. The reasons people look up “making money after retirement” are many, probably as many as the words on this page. This article is about an alternative to working after retirement. Some people don’t have to work. They just want to stay busy. Unfortunately, I think a lot of people just don’t have the money to retire comfortably. There’s another wide ranging question. What kind of retirement help are you looking for? I’m a baby boomer, born smack dab in the very middle of the era of 1946-1964. That would be 1955 and do you know what I did not do for most of my life? That’s right, think ahead and save money for retirement. I have a very strong feeling I’m not alone in that boat:) I don’t know exactly what the numbers are except I know they’re high. A very large number of people are not prepared to retire with no worries. If you’re one of the few people who have no money worries in your senior years and just want something to do, then working for something to do might work for you. But even then, you won’t be able to control your own time. So you might want to pay attention to what I have to say as well. If the retirement help that you are looking for is a handout then I can’t help you. But I can help you to help yourself. How to Earn Money in Retirement-Jobs for Retired People? Just writing that sub headline made me shudder. Every day that goes by, it’s being proven over and over again that the 40 year plan doesn’t work. In fact I’ve revised the wording of the plan to say “work for 40 years to retire on 50% of what I can’t live on now”. You may have heard me say that before but I repeat it often because it’s not only important…it’s so true! I like to work. I’ve always liked to work. I don’t like working for someone else. I’ve never liked working for someone else. To have a job and to have to work in your prime years is bad enough but then you want me to get another job after I retire? Count me out. Listen, I know you are starting to get a little worried because that retirement date is drawing closer and closer. You may be 10, 5 or even 1 year away. Obviously the further away you are the better. You may have already retired and find it a struggle. I found a better and faster way rather than looking for jobs for retired people. Why in the world would you want to subject yourself to that environment if there’s a possible alternative? Let me just say that anything honest and respectable I salute. This is not meant to put down anyone who is at that retirement age and working at Wal Mart or a fast food restaurant. I’m just here to present an alternative. Not just an alternative but something that could exceed your wildest dreams of retirement. Haven’t you worked to make someone else rich long enough? The answer to your retirement worries is to start your own home business. I’m not talking about a franchise that costs hundreds of thousands or even a million dollars. I’m talking about a business you can start for very little money. You could change your whole remaining future, which could be a lot of years, with a 2-5 year business plan. Some people change their lives in a year. Don’t expect to start hearing (reading:) a bunch of hype because that is not what I’m talking about. I’m not talking about any get rich quick schemes because, frankly, there is no such thing. I’m talking about a legitimate business plan that you could work at, even work hard at for a time and not only earn a significant monthly income but an income that keeps coming in whether you decide to work or not. Once you build it up it’s relatively easy to maintain. You can start a business part time if you’re still working. Let’s say you’re 10 years away from retiring, you work a business plan for 1-3 years and retire even earlier than you had planned. What if you’re 5 years away? same thing. Two years away and you could create some spectacular timing. What if you’re already retired? Well, then you can work full time and get there even faster. You need something to do anyway, right? One of the great things about having a home based business is the tax advantages. You could save a significant amount of money just on the tax savings. Right now the economy is humming along pretty good. But you never know what’s going to happen when it comes to the economy from one year to the next. As you probably already know, there’s really only one thing, person you can count on and that’s the guy or gal looking back at you in the mirror. Not only do you need to increase your income you need to have assets which are valuable. What I propose to you will not be for everybody for all sorts of reasons or should I say, excuses. This article you are reading could change your life and your future in a very big way. It may not be for you. That’s ok too. I believe you are reading this article for a reason, don’t you? You certainly have nothing to lose by taking a look. Put your name and email in the box and stick around and learn something. It won’t kill ya, it just might be the answer to your prayers.